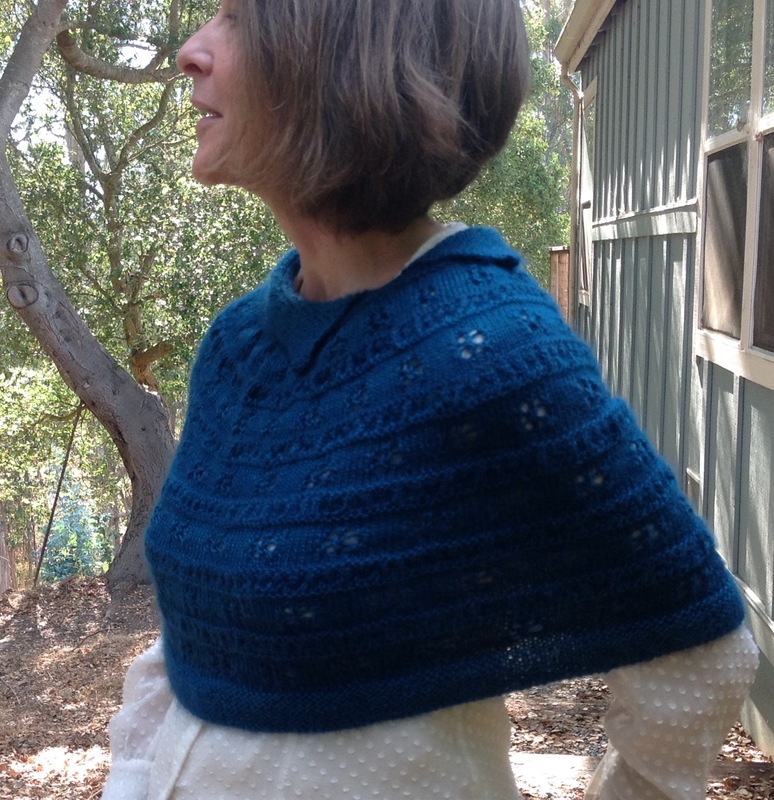 Today I released my newest pattern, the Lumi Capelet. Lumi is a quick to knit design that is perfect to wear when you need something around your shoulders to keep you a bit warmer in the fall weather. You can purchase the pattern and see more information about it on Ravelry. Lumi is a greatly revised version of the curly cowl I wrote about last year. Although the texture of the fabric never worked out as a cowl, a wide garter border and capelet construction makes a beautiful around the shoulders wrap. Which of these describe you? I am a knitting teacher. I live in the Santa Cruz area.